German car maker Mercedes Benz will be bringing a low cost S Class car in India. With the Mercedes Benz S Class low priced edition launch, the car will be the entry level range in this class. The new S Class is expected to be priced at Rs 72 lakh. The 2996cc power car is among luxury cars in India and is known for performance with the V6 228bhp petrol engine under its bonnet and superior comfort features inside it. The 7G tronic gearbox mated to the powerful engine delivers a one of its kind power to the car and makes the S Class a sure buy for those seeking sheer power in style. As per sources, the S Class is currently the most costly car assembled by Mercedes in India. Currently the S Class is imported from Germany and assembled here in India. The S Class is expected to get a soft launch soon as it is almost ready to be launched. As per sources, Mercedes will refrain from a full fledged launch as the car targets premium segment is unaffordable for the general public. 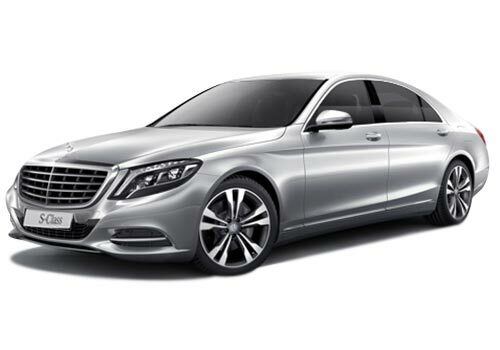 The existing models of the S Class include S 350L, diesel S Class 350L and S 500L. The 350L petrol is powered by 272 bhp V6 3.5L engine that has a peak torque of 345Nm at 4500 rpm. This car attains the mighty figure of 100kmph in just 7.8 seconds. The diesel S Class on the other hand is powered by 3L V6 engine that has a peak power of 210 bhp and a maximum torque of 490 Nm at 1600 rpm. It also has a similar acceleration and has BlueEfficiency in place which imbibes in it fuel economy. The more powerful version I powered by 5.5L engine with 369 bhp power giving the Rs 1.16 crore car 0-100 kmph acceleration of 5.4 seconds.